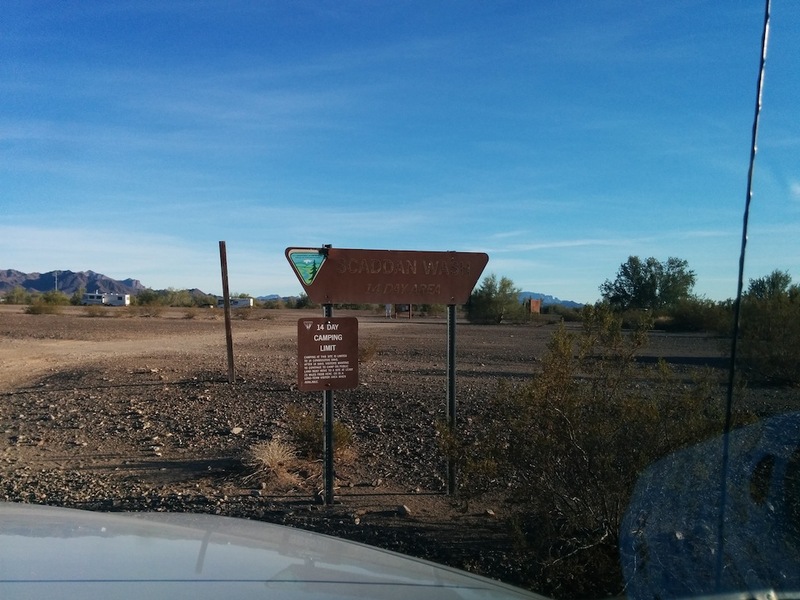 Willow and I plan on attending this year’s RTR (Rubber Tramp Rendezvous) in Quartzite, AZ. We found ourselves heading through the vicinity and decided to find the area it will be held at and to get a look at the surroundings and lay of the land for future reference. This is a flat, open, graveled area right off Hwy 10 between Dome Rock Road and Mitchell Mines Road and I do mean right off Hwy 10. There are a variety of other campers present from Jeeps, to Class A RV’s but everyone did a nice job of spreading out, keeping to themselves and not encroaching on their fellow boondockers. It is considered dispersed camping and it’s free so I can’t complain too much. Since we were just passing through I won’t hold its main shortcoming against it: semi truck noise from the highway. All. Night. Long. We could have driven farther down Mitchell Mines Road but this, literally, was just a quick overnight. I ended up moving the Tacoma so its nose was pointing directly at the highway. That way the shell sleeping area was not parallel to the sound waves coming off of the highway. Made a noticeable improvement. So, nothing special but now we know where the RTR will be and have added Scaddon Wash to our list of “okay-in-a-pinch” places to overnight. UPDATE: Since the original post we have attended the RTR in this general area. We now know that quiet camping away from the noise off Hwy 10 can be found as long as you head to the area the RTR was held at, about 1.4 miles down Mitchell Mines Rd. 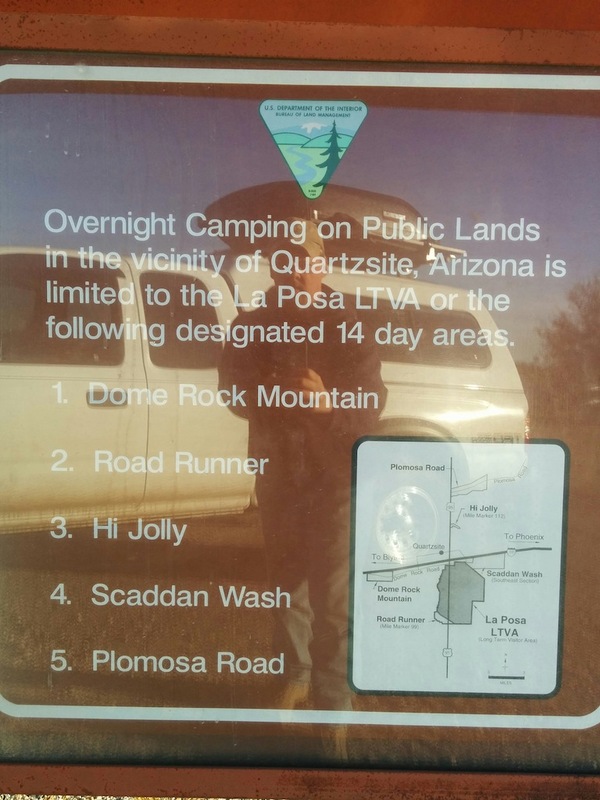 This bit of knowledge has moved the Scaddon Wash from our “Only in an Emergency” camp spot list to a more useful and relaxing place to spend a day or more in the Quartzite area.